Coveted by top models and celebs all over the world, the famous NUXE Multi-Usage Prodigieuse Dry Oil has been transformed into a new face care line, Crème Prodigieuse, and will hit the shelves this fall! The new line consists of 4 daily anti-fatigue moisturizing creams – an eye cream, 2 day creams and a night cream – for women of all ages. All products contain at least 89.3% of ingredients of natural origin and are formulated without parabens. For my dehydrated combo skin, I was sent Contour des Yeux Prodigieux and Crème Prodigieuse – Normal to Combination Skin to try out. • Blue Everlasting, a flower that resists stress and possesses anti-free radical and anti-oxidant properties superior to those of vitamins C and E. It helps to protect the skin from external assaults and thus generating fewer free radicals for radiance and youthful appearance. • Blue Agerate, a flower that is rich in polyphenols and flavonoids to help reduce the appearance of inflammation caused by free radicals. It also protects the skin from internal factors of oxidative stress so it becomes less reactive and retains its full radiance. 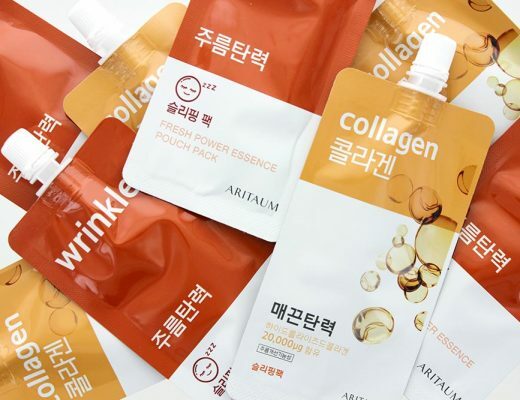 • Cocoa Extract to help delay epidermal cell aging by reducing the number of senescent cells by 50%. It also helps to offset the cellular deficit by increasing the capital of new cells ready to replace attacked cells. Skin is protected from the appearance of visible signs of premature aging, a major consequence of oxidative stress. • Hyaluronic Acid to moisturize and smoothe fine lines caused by dehydration in the eye. • Plant caffeine extracted from green coffee beans for drainage-enhancing and clearing properties to diminish the look of dark circles and reduce undereye puffiness. The texture was really light and sank into the skin quickly. Right away, my eye area felt hydrated and so refreshed. The eye cream also worked great under makeup without causing my foundation/concealer to ball up. I have yet to see a difference in my undereye circles but I definitely noticed a reduction in puffiness. The Crème Prodigieuse, on the other hand, is a moisturizing day cream. Again it contains the main ingredients of the Crème Prodigieuse line – Blue Everlasting, Blue Agerate and Cocoa Extract – along with mattifying mineral powders to modulate the light, soften the appearance of prominent zones and skin imperfections and mattify the complexion. The texture was a little thicker than the eye cream but still managed to get absorbed equally as fast and painless. 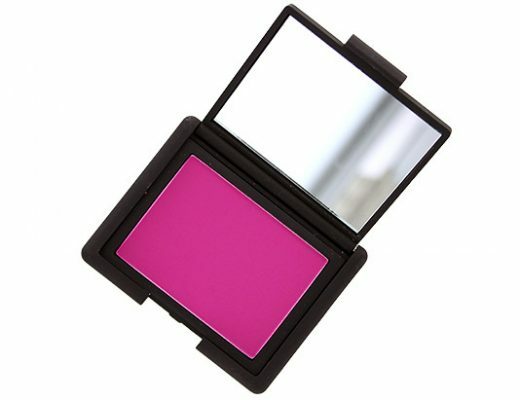 It did a good job moisturizing my skin and left behind a velvety finish, which made it a great makeup base as well. My only complaint would be the lack of SPF. Having to apply a separate sunscreen just seemed a bit too much work since I am always in a rush in the mornings. For that reason, I save this for the PM. Bottom line, NUXE Crème Prodigieuse is a great basic skincare line that has kept my dehydrated combo skin supple and happy. Not to mention, the signature Prodigieuse Dry Oil scent is just HEAVENLY and so soothing! I definitely recommend the Crème Prodigieuse line for those with younger skin or do not need a lot of “correction”. 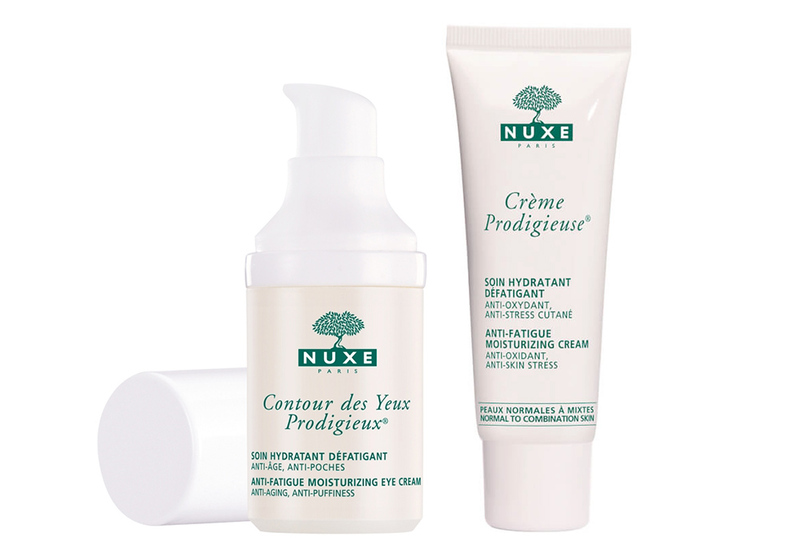 NUXE Contour des Yeux Prodigieux and Crème Prodigieuse – Normal to Combination Skin will be available at Beauty.com and SpaceNK for $35 and $28 respectively in September. You mentioned that the day cream does soften imperfections. 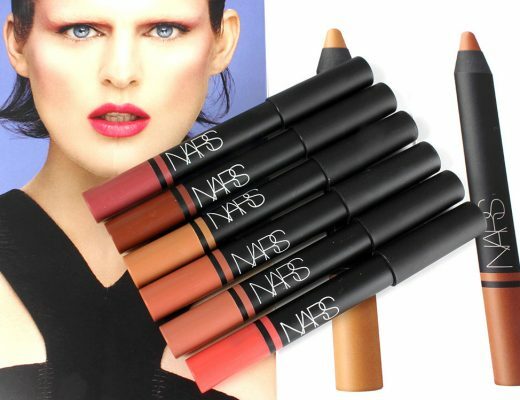 Does the it blur visible pores effectively? Yes that’s the official description of the product. Personally, I find the product to provide a very smooth base for makeup but I don’t think it hides pores like silicon primers do.